Americans spent over $650 billion on leisure travel in 2015, according to the U.S. Travel Association. But when it comes to spending money on your own leisure travel, the expenses associated with taking a vacation can seem overwhelming. First, there’s airline or train tickets, which is like buying access to a small hell that you share with hundreds of other people. Then, there’s the hotel, renting a car, food, drinks, and a million gifts to bring back to family and friends. But saving for a vacation is not an insurmountable goal – in fact, it’s a lot easier than you think. Follow these three simple steps to save cash for your next vacation and feel good about it. Sounds simplistic, doesn’t it? But when it comes to personal finance, a lot of people skip out on goal setting. Instead, it’s a lot more likely that someone might decide they want to go, put the expense on a credit card, and then figure out a way to pay it all back later. Instead, you should try and calculate how much your vacation is going to cost ahead of time. This may require guesstimation – you may not know exactly what your flight will cost, for example. But there are a ton of ways to make educated guesses, and they all start with research. Research the typical cost of a flight to where you want to go, how much a hotel will cost you, and other expenses like cabs, restaurants, and museums. Make a plan for where you want to go at a particular locale and get the prices ahead of time so you’re not surprised when you get there. Another important number to calculate: How long you have before you need to spend your vacation fund. You might not get the same answer for every vacation expense. You’ll need to buy your airplane tickets before you pay for the hotel, for example. Once you have a rough calculation of how much your vacation is going to cost and when you need that money by, set that goal. Whether you have a budgeting app, a spreadsheet, or just a Post-It on your computer monitor, keep that goal at top-of-mind! It may be helpful for you to set more than one goal, especially if your expense timeline doesn't match up evenly as we discussed above. Whatever works for you, just make sure you’re prioritizing your vacation goal(s). Once you have your goal and your timeline, it should be easy to see how much money you need to take out of your paycheck every month. Just take your goal, divide it by the number of months (or number of paychecks, if you get paid bi-weekly) until you need that money, and viola! Let’s look at an example. Let’s say you need $1,000 to visit San Francisco in six months. You’ll need to save approximately $166.67 every month in order to hit that goal. But what if you need $600 of that in three months in order to buy plane tickets? That means you have three months to save $600 and six months to save $400. Once we start dividing that up, you need to save $200 per month and $66.67 per month, respectively, or $266.67 in total for the first three months and just $66.67 for the second three month period. You can structure this differently – in the above example, you might want to just focus on saving for the airline tickets first, and then spend the last three months saving the rest of the money you need. Take a look at your options and figure what makes the most sense with your personal budget. You know you have to put this money aside, but where do you actually physically put this money? Some people will suggest a dedicated savings account to limit the temptation of using that cash. 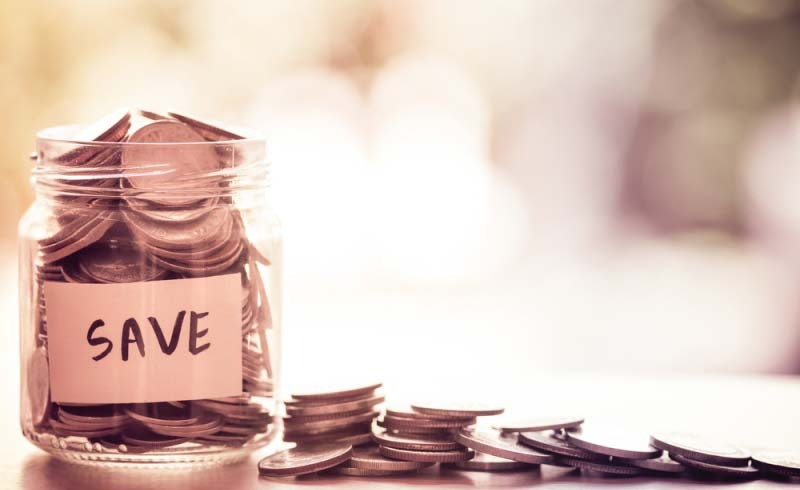 For a small fund, I think that’s kind of a waste – a general savings account where you keep your emergency fund plus other, smaller savings goals is probably enough, especially since you know that you need to keep your hands off of all of that cash. What you definitely do need, however, is a solid budgeting system already in place so that you don’t fall off the savings path or have a need to raid your savings in the first place. Here’s a weird phenomenon: You save for months to go on a fun vacation, and then once you get there, you feel bad about all the money you’re spending. I know I experienced this during my last vacation – every time I plunked down my credit card for a fancy meal or a fancier cocktail, I felt like I was betraying my budget. The problem was that I hadn’t yet moved out of my normal, thrifty mindset, and I felt like I was overspending despite the fact that I saved up for all of these expenses. So here’s the biggest piece of advice I can give you: Don’t feel guilty when you start spending money on vacation. If you’ve correctly calculated your vacation goal (and left yourself a little wiggle room), and you’ve slowly saved up for it over the course of months, you should have no qualms about spending your money. Don’t let a sinking feeling in your stomach ruin what should be a fun vacation.